Government think tank Niti Aayog launched a performance index on health services to nudge states to improve health outcomes and improve data collection systems. “This initiative (launch of ‘Performance on Health Outcomes’ index) is envisioned to bring about the much-required improvements in the social sector outcomes, which have not kept pace with the economic growth in the country. It will be used to propel action in the states to improve health outcomes and improve data collection systems,” Niti Aayog said in a statement. The index is launched along with Ministry of Health and Family Welfare. It is meant to capture the annual incremental improvements by states rather than focus on historical achievements, it noted. Secretary-Health C K Mishra and CEO Niti Aayog Amitabh Kant jointly released the guidebook for the exercise in the first of a series of regional workshops to be conducted across the country until February, it added. The government’s think tank further said it is anticipated that the index will assist in the state-level monitoring of performance, serve as an input for providing performance-based incentives and improvement in health outcomes, and meet citizens’ expectations. The statement said the index has been developed over several months with inputs from domestic and international experts, including academicians and development partners, seeking feedback from states. The exercise involves the participation of several partners including technical assistance from the World Bank, mentor agencies to hand-hold states, where required, during the exercise and third party organisations to validate the data submitted prior to calculation of the index. Stating that data will be entered and results published on a dynamic web portal hosted by Niti Aayog, it pointed out a similar exercise has also been launched for the education and water sectors. The features of the index, measures and methods of data submission will be disseminated to states through workshops, it added. 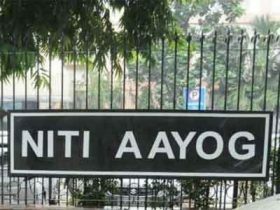 NITI Ayog is doing what it\’s supposed to do : Churn up some new strategies, so as to justify the tax payers money being paid as a a fat salary to the committee members. Beyond that I don\’t think it will serve any function, APART from self sustenance at the cost of the exchequer. Yes, off course some nuisance value would definitely be generated in its wake. This is not a sadistic view of NITI Ayog as perceived by me, but a logical deduction from its action plan to replace MCI with Non Medical professionals to run the country\’s Health Program ( I there is any such thing) and education system. It\’s akin to appointing doctors on a National Advisory Committee for Avionics and Air-traffic Control. Entirely laughable, but quite possible in a country like India where laws as antique as the Police act of 1868 are still followed religiously. This is a very Good Initiative to improve the Quality in Health Care. When I was Asst Commissioner in Rs 600 Cr World BAnk funded APFRHSP in APVVP to improve facilities & performance of Secondary Health CAre in United AP in 1996-97, we had developed many KPI; CQI and Dashboards to monitor & improve Quality Care. My best wishes to this initiative and every provider shall take it positively. It is good step. Basics say that unless you measure, you cannot improve. Gradually we need to do similar things for private sector so that consumers get empowered to make informed choice. This will push hospitals to improve their outcomes. Health outcomes being linked to patient safety, we must strive for \’pay for performance\’ model in time to come. Niti ayog will end up getting fudged data from states. on papers we have eradicated so many communicable diseases, controlled many others. truth is entirely different. The country declares eradication of Leprosy which is far from truth.. Lies. damn lies and Niti Ayog.